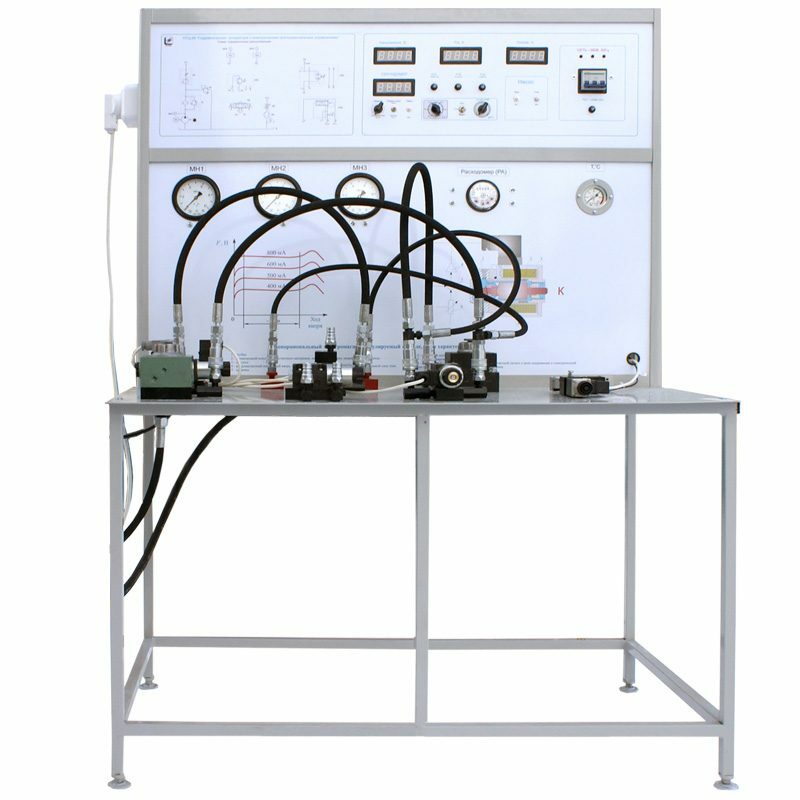 The stand is designed for experimental investigation of: proportional electromagnet; discharge hydraulic valve, hydraulic distributor, reducing valve and three-port flow regulator with proportional control. three-port flow regulator with proportional control. Investigation of proportional electromagnet characteristics. 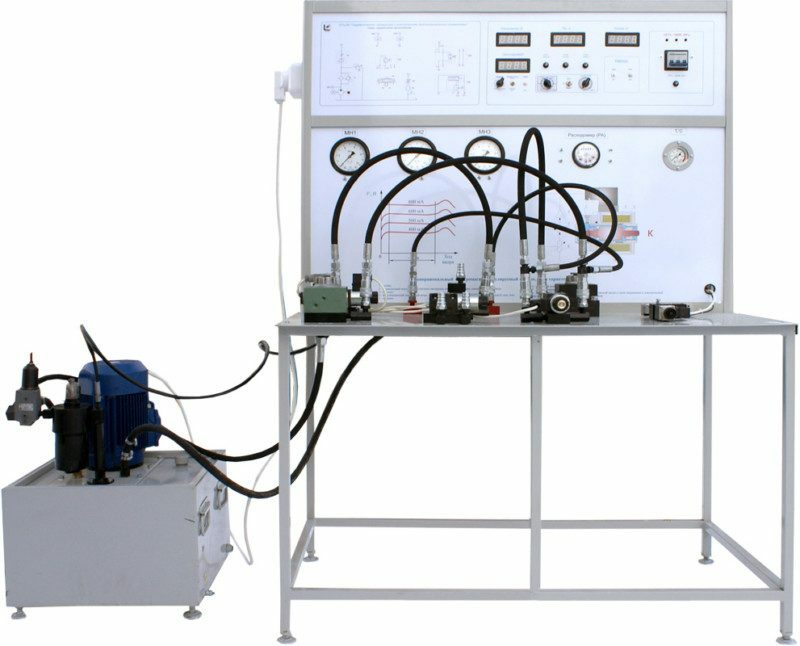 Study of construction and determination of characteristics of discharge hydraulic valve with proportional control. 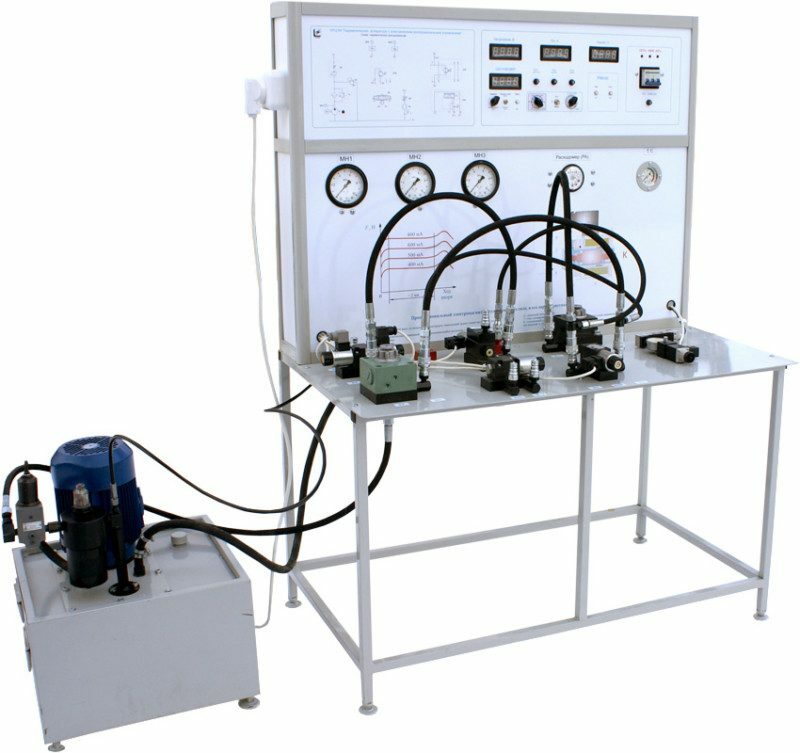 Study of construction and determination of characteristics of hydraulic distributor with electric proportional control. Study of construction and determination of characteristics of reducing valve with proportional control. Study of construction and determination of characteristics of three-port flow regulator with proportional control.